Fabric eggs can be made by stitching fabric pieces together and filling them with the same sweets that would be found in plastic eggs. If someone if your family is a talented seamstress, these eggs can turn out beautifully. Moreover, the communal effort required in making these can teach young children how to sew! 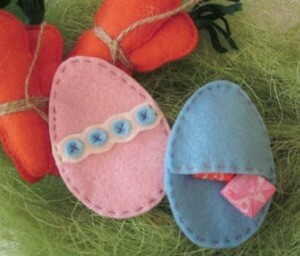 Felt eggs could also be sewn together. 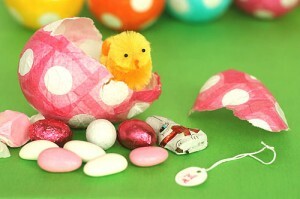 Perhaps these eggs could contain the coveted cash prize rather than sweets! 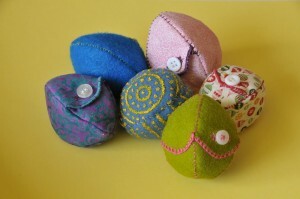 Felt is a versatile textile, and could be made similarly to fabric eggs. The picture below is a pocket-type egg. There are thicker felt eggs that are sold online as well. Papier-mâché eggs are fun and easy to make! 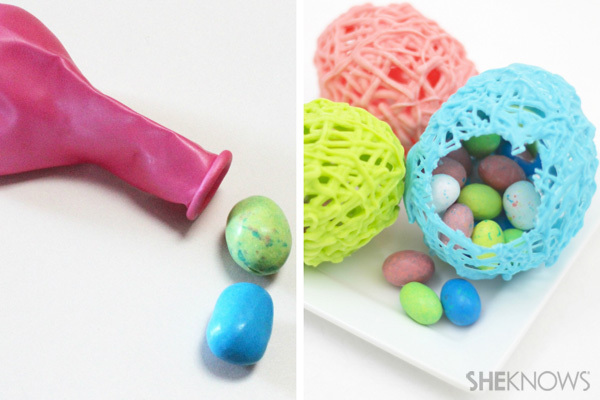 While this method does require the use of balloons, it is still a colorful alternative to plastic eggs. 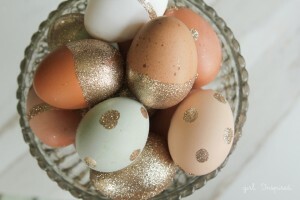 See this website for instructions: http://www.notmartha.org/tomake/papiermacheeastereggs/ Additionally, papier-mâché eggs can be made in many different sizes and last for a long time if taken care of! While these eggs would likely not survive an outdoors egg hunt, they would complement an Easter meal or dessert. Desserts are often covered with a chocolate dome, which is then melted by adding more warm chocolate! By making egg-shaped chocolate domes or simply hollow eggs, your family’s sweet tooth will be thoroughly satiated! The method featured here http://www.sheknows.com/food-and-recipes/articles/987631/hollow-chocolate-easter-egg-recipe/ also involves balloons, but other recipes do not. See here http://www.buzzfeed.com/melissaharrison/magic-chocolate-bomb-sundae#.wyBooXjQK for the chocolate dome recipe, which does use a plastic ornament. 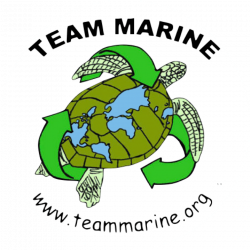 Whether you celebrate or not, Team Marine wishes you a plastic-free Easter! 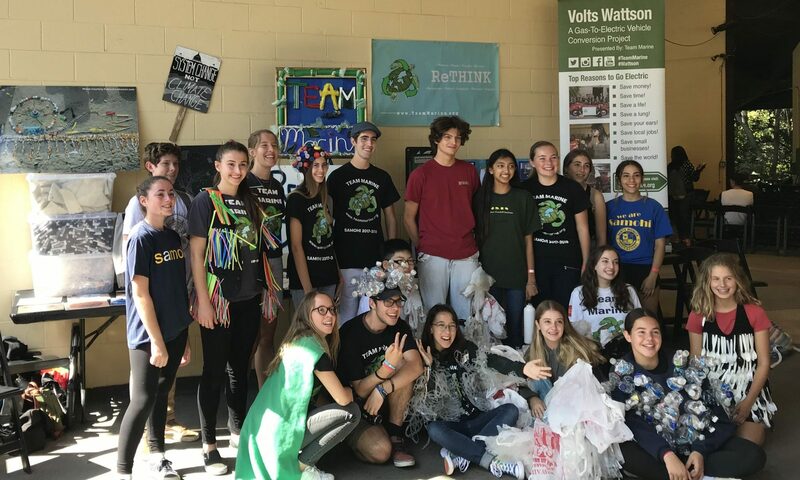 This blog was adapted from craftingagreenworld.com and growingagreenfamily.com.